3. They then revealed several other things. "Dominic, Dominic, have mercy on us----we promise you that we will never hurt you. You have always had compassion for sinners and those in distress; have pity on us, for we are in grievous straits. We are suffering so very much already, so why do you delight in heightening our pains? Can't you be satisfied with our suffering without adding to it? Have pity on us! Have pity on us!" Saint Dominic was not one whit moved by the pathos of these wretched spirits and told them that he would not let them alone until they had answered his question. Then they said they would whisper the answer in such a way that only Saint Dominic would be able to hear. The latter firmly insisted upon their answering clearly and out loud. 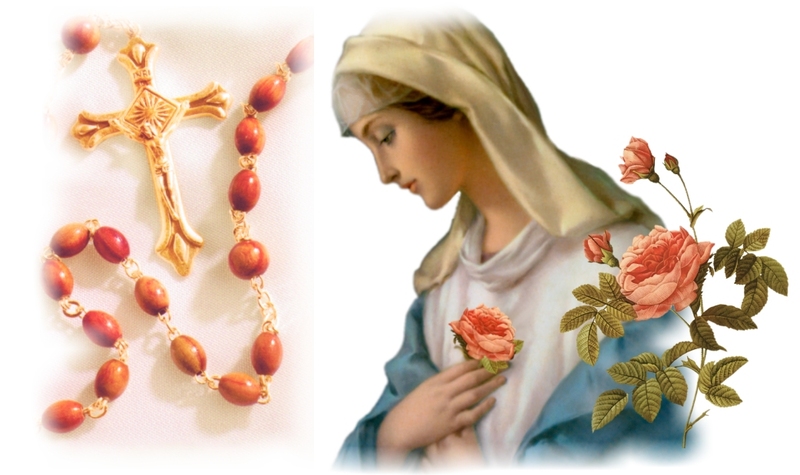 Then the devils kept quiet and refused to say another word, completely disregarding Saint Dominic's orders----so he knelt down and prayed thus to Our Lady: "Oh, all powerful and wonderful Virgin Mary, I implore you by the power of the Most Holy Rosary, order these enemies of the human race to answer me." "Dominic, we beseech you, by the passion of Jesus Christ and by the merits of His Holy Mother and of all the Saints, let us leave the body of this man without speaking further----for the Angels will answer your question whenever you wish. After all, are we not liars? So why should you want to believe us? Please don't torture us any more; have pity on us." "Oh most worthy Mother of Wisdom, I am praying for the people assembled here who have already learned how to say the Angelic Salutation properly. Please, I beg of you, force your enemies to proclaim the whole truth and nothing but the truth about this, here and now, before the multitude." "Then listen well, you Christians: the Mother of Jesus Christ is all-powerful and she can save her servants from falling into Hell. She is the Sun which destroys the darkness of our wiles and subtlety. It is she who uncovers our hidden plots, breaks our snares and makes our temptations useless and ineffectual. "We have to say, however reluctantly, that not a single soul who has really persevered in her service has ever been damned with us; one single sigh that she offers to the Blessed Trinity is worth far more than all the prayers, desires and aspirations of all the Saints. "We fear her more than all the other Saints in Heaven together and we have no success with her faithful servants. Many Christians who call upon her when they are at the hour of death and who really ought to be damned according to our ordinary standards are saved by her intercession. "Oh if only that Mary (it is thus in their fury that they called her) had not pitted her strength against ours and had not upset our plans, we should have conquered the Church and should have destroyed it long before this; and we would have seen to it that all the Orders in the Church fell into error and disorder. "Now that we are forced to speak we must also tell you this: nobody who perseveres in saying the Rosary will be damned, because she obtains for her servants the grace of true contrition for their sins and by means of this they obtain God's forgiveness and mercy." Then Saint Dominic had them all say the Rosary very slowly and with great devotion, and a wonderful thing happened: at each Hail Mary that he and the people said together a large group of devils issued forth from the wretched man's body under the guise of red-hot coals. A large number of heretics were converted because of this miracle and joined the Confraternity of the Most Holy Rosary. 1. This incident is referred to by Saint Louis in his "True Devotion to the Blessed Virgin Mary" when he explains that those who love Our Lady are not lost. Cf. paragraph 42. M.B.